We purchased the deluxe edition of Scrabble many years ago when we became Scrabble addicts mostly because the rotating tabletop makes it easy to play on the coffee table without knocking over drinks or messing up the tiles between plays. Unfortunately, the kids have learned to love Scrabble as well (and we let them to encourage interaction with words and letters). But over the years we’ve lost 10 tiles to the vacuum or cleaning frenzies. To enjoy a Scrabble tourney this Thanksgiving, I was inspired to embark on a new Weekndr Project: How to Make Replacement Scrabble Tiles. Turns out it’s easy. You’ll need a piece of hardwood, a handsaw, sand paper (150 grit), and a hand plane. Step One: Find a long stick of hardwood that is close to the width and thickness of a Scrabble tile . Maple is ideal but I used white oak. Mill it to thickness and width using an actual Scrabble tile as your template. Step Two: Since I don’t have a woodshop at home I used a simple bench hook (sometimes called a shooting board) on my kitchen countertop to support the wood piece while I milled it to exact width and thickness with a hand plane. Use a sander in a pinch or if you have a wood shop, use your thickness planer/bandsaw/tablesaw. Step Three: Begin slicing off tiles one at a time with a handsaw (use a bandsaw or tablesaw if you have a shop). Step Four: Between each cut, sand the tile smooth, and sand the freshly-sawn face of the stick in preparation for the next cut. Finally, write a letter on your new tile. If you’re ambitious, you can apply a stain or finish at this point. I’m relying on the oil from our fingers to finish the tiles after a few rounds of play. 7:05 a.m. Thought about tuning in for early TV coverage of the Macy’s T-Day Parade. The crowd started at 6:30 a.m. EST. 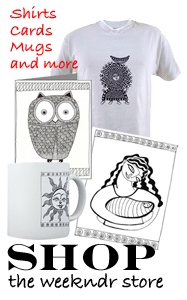 on and it airs on NBC by 9 a.m. Visit the Web site for some cool games and video and an annoying musical underscore. 7:18 a.m.: Started baking sweet potatoes for the Obama’s cumin-spiced Sweet Potato Casserole. Recipe from Us Weekly (no link). 10:13 a.m.: Finished making replacement scrabble tiles and blogged about it (see next post). 11:45 a.m. Left the house headed for turkey dinner at the Diaz Family Farm! 1 p.m. Watched Sadie the Scottish Terrier win the National Dog Sow. I was rooting for the black lab or the miniature pincher to no avail. 2:00 p.m. Ate the bird. Became too tired to write any more. 3:00 p.m. Went for a walk. I had no idea that the Yeti was one of the most elusive and mysterious objects in all of science. Surely the human genome is more mysterious. Or perhaps even water on the moon? Here’s how it works: the Hadron Collider sends two proton beams speeding in opposite directions through a 17-mile circular tunnel located 300 feet underground. When the beams collide at near the speed of light, the collision is expected to generate 14 trillion electron volts. The LA Times surmises that the invention could “produce some of the greatest scientific discoveries of the 21st century.” Critics have feared that if it works it could create a black hole and vaporize the Universe, or something like that. For these reasons and more, the Large Hadron Collider becomes the first-ever Weekndr Fact You Should Know. 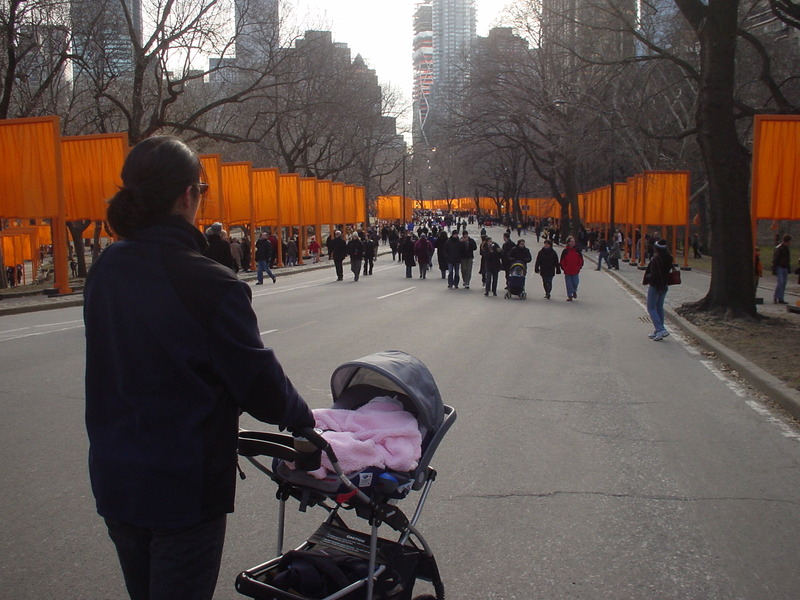 Our first trip to New York City with a baby was a cold and leafless day in February 2005 to see the Gates, a 23-mile-long art installation created by the husband and wife team Christo and Jeanne-Claude, known for similarly massive art adventures around the world. This week, Jeanne-Claude passed away at the age of 74, according to nytimes.com. To pay tribute, I dug up some photos from our walking tour, which was cut short when we had to return to the car because there’s no place to change a baby’s diaper in Central Park when it’s 30 degrees outside. Walking 1/100th of the 23-mile-long installation. 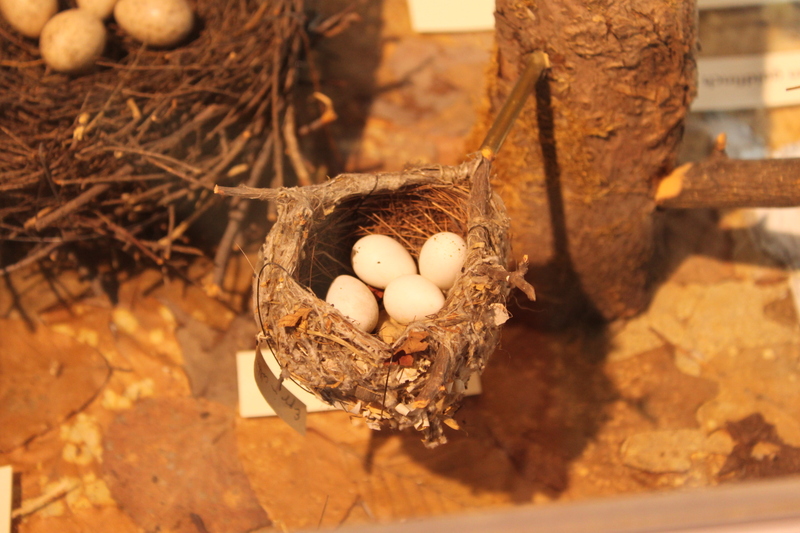 Here are some awesome facts about the exhibit via New York City’s web site. – 7,500 gates lined up across 23 miles of footpaths weaving through Central Park. 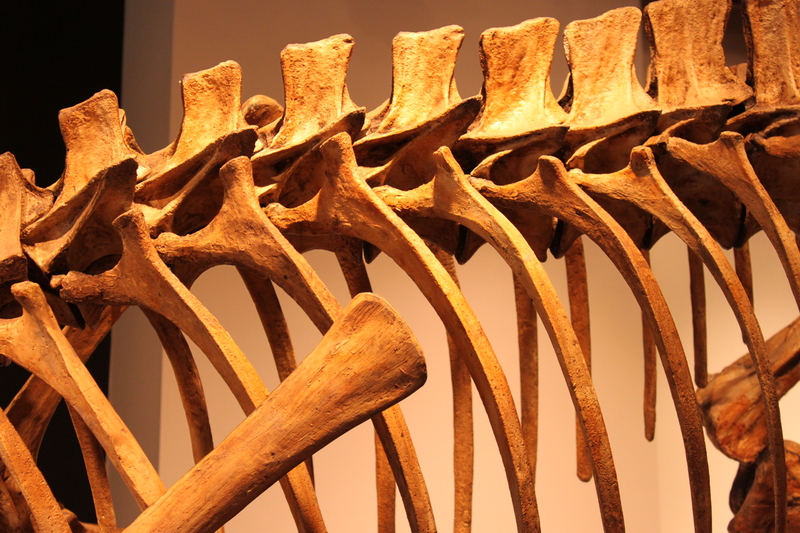 – Each Gate measured between 5 ft. wide to 18 ft. wide and 16 ft. tall. 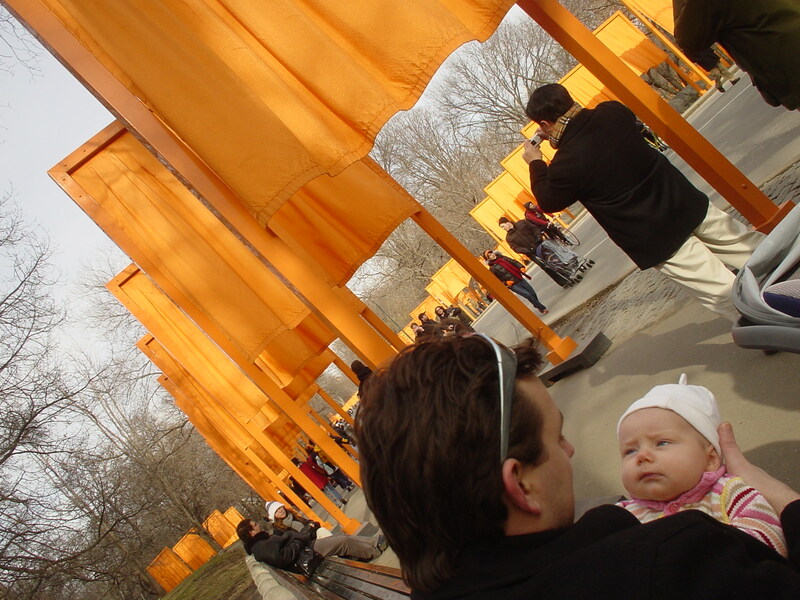 – Saffron-colored fabric panels were suspended from the top of each gate and hung down to 7 ft. above the ground. – The project was funded entirely by the artists and provide employment for hundreds of New York City residents, hired to assemble, install, maintain and remove the installation. 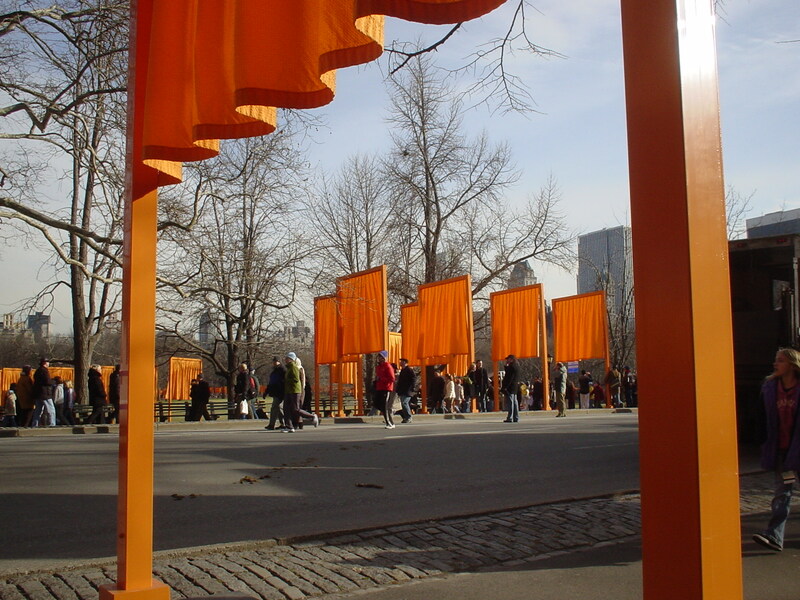 – After The Gates was disassembled, most of the materials were recycled. This will be a short post, as it doesn’t take much to describe how to clean roof gutters to remove fallen leaves, pine needles, and the thick layer of leaf compost that builds up when you neglect this all-important fall-time task. Step One: Borrow a ladder from your neighbor. You only have to clean the gutters a few times a year and you can save yourself some cash. Step Two: Convince your significant other to climb the ladder when the roof gutter height exceeds your fear threshold. 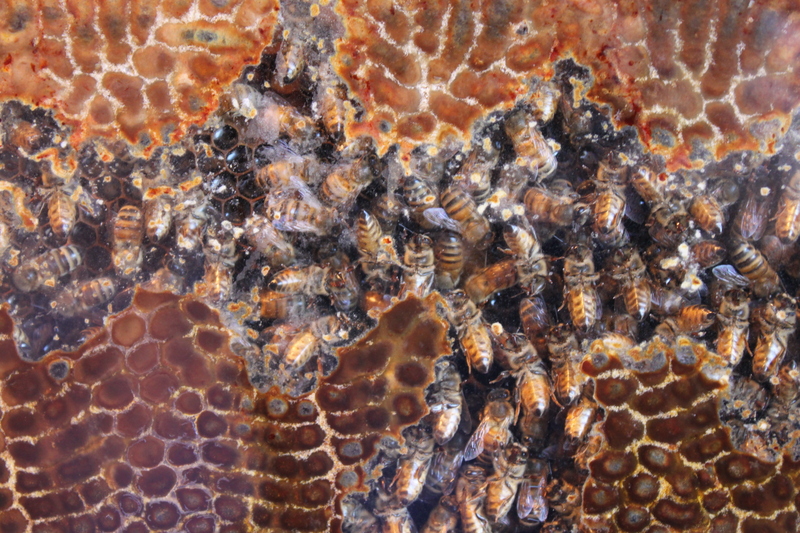 Step Three: Scoop out the clumps of leafy crud from the gutters until you can again see the bottom. Dump the crud below preferably avoiding the head of the person holding your ladder as he may be looking up just in time to catch a clump of leaf right in the eye. Step Four: Climb down the ladder, move it over a few feet, and continue steps two and three as necessary. 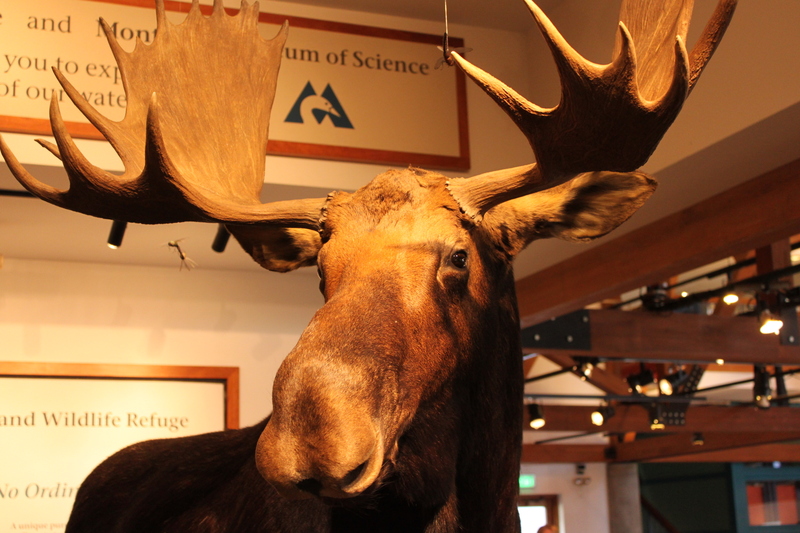 Anyone with young kids and time to kill in the New Hampshire-Vermont region near Hanover will appreciate the Montshire Museum of Science, a hands-on children’s museum designed for families just like us with preschoolers in need of a good dose of brain stimulation. 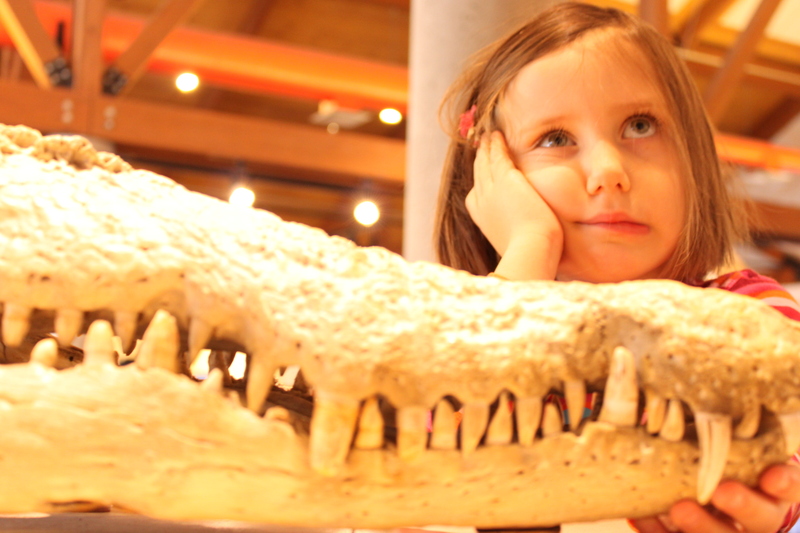 The museum is packed with indoor and outdoor activities, and regularly features new exhibits. 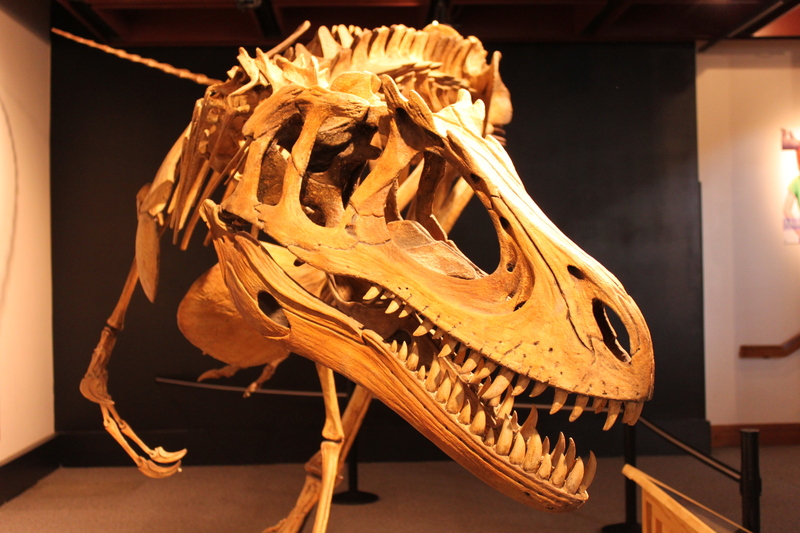 We were in town for an impressive dinosaur exhibit this past weekend that featured life-size skeletons and other fun stuff. The entry fee is steep — mom and dad are $12 a pop, kids pay $10, and 2 and younger are free — and you can’t leave without dropping at least a twenty at the gift shop, but it goes to a good cause. 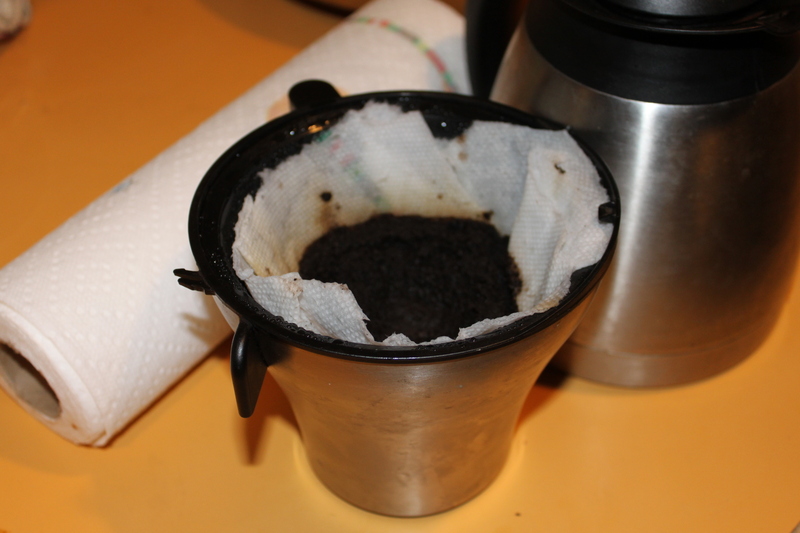 Here’s a project that is easy and comes in real handy on those early mornings when you run out of coffee filters. I used this one two days in a row without fail. I can’t vouch for flat-bottom coffee filters, but this is tested and approved for cone filters. Step one: Tear off a single sheet of paper towel. Step two: Carefully place the sheet in the filter canister, folding as necessary. Step three: Cut away the towel that extends above the rim as this may prevent the filter canister from closing properly. It looks soggy but the coffee brews up great. The final word on paper towels as coffee filters: Works in a pinch!